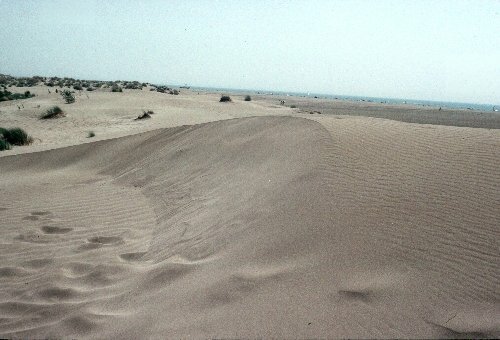 Small barchan dune in coastal dune field. Indistinct footprints for scale: slip face of dune is ~ 1m high. In which direction is the dune migrating? Explain the orientation of the ripples at the foot of the dune, relative to the direction of migration of the dune.